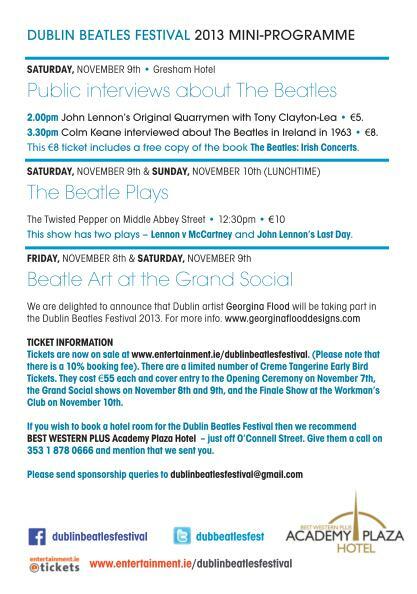 Tickets are selling fast for the Dublin Beatles Festival – a one-off four day celebration to mark the 50th anniversary of the only time that The Beatles ever played in Dublin. 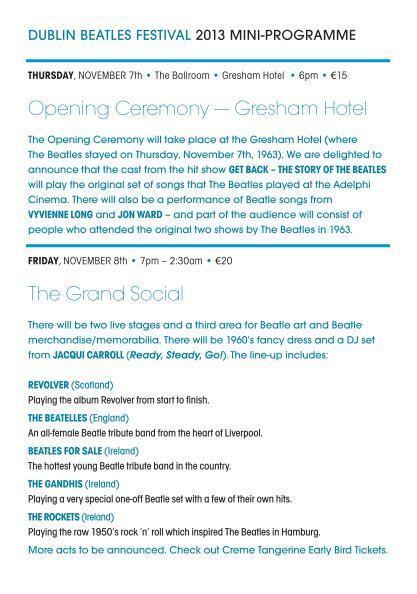 The Beatles played Dublin on the 7th of November, 1963. 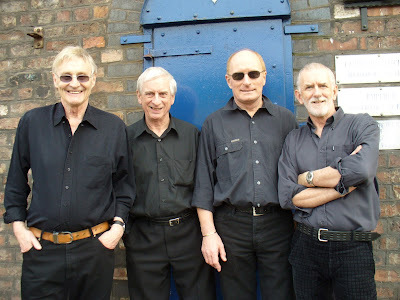 According to Stephen Kennedy, Director of the Dublins Beatles Festival, Alun Owen, the British screenwriter, visited Dublin with The Beatles and used the experience to write the script for A HARD DAY'S NIGHT. 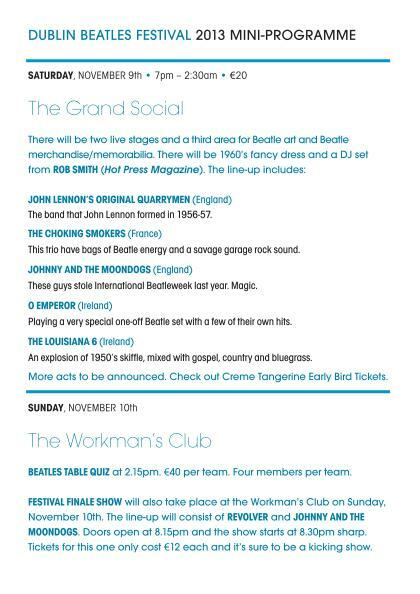 Kennedy has assembled an impression range of bands to celebrate this special anniversary, including John Lennon's original Quarrymen who will be will be headlining the festival with a performance on Saturday night, and also doing a public interview with Irish Times Music Critic Tony Clayton-Lea on Saturday afternoon. 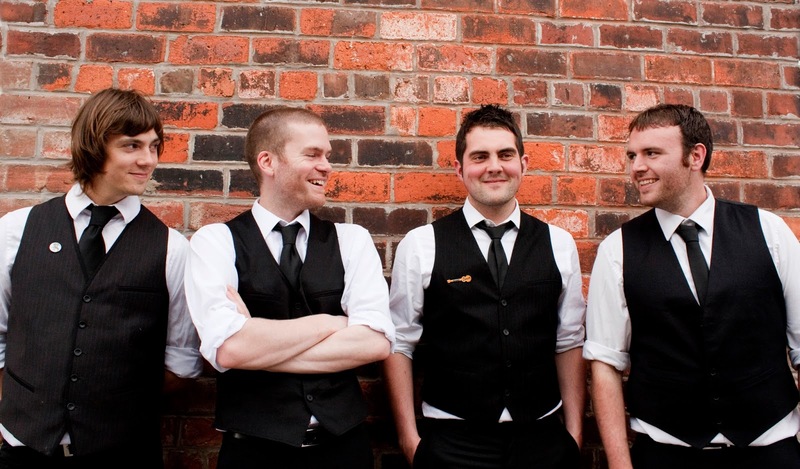 This promises to be a truly great event so make sure you book your tickets now! 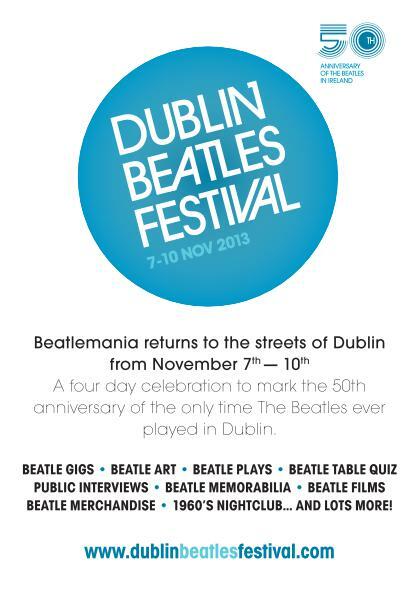 More information visit the Dublin Beatles Festival website HERE!